I’ve currently been inundated with projects that need the ability to share GIS data in their projects and most of them don’t really understand why they pay £10,000 for a survey and then £75k – £100k for a server solution to share it, let alone understand what GIS really is and WHY they need it in their business. So, I usually find myself starting small and then slowly feed more functionality to the client as they start to understand what it is the system really does. Today, I was doing just this, a project worth £Billions and they knew they needed GIS but not entirely sure WHY, so out came the good old ArcGIS Explorer, a little less scary to look at for the average client and enough like Google Earth to make it easy to pick up and run. 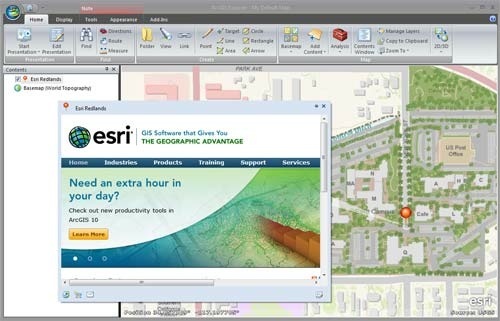 The only issue I ever had with it was that it wasn’t fully compatible with ArcGIS, by that I mean that ESRI could have gone the extra mile and provided an mxd to nmc converter or at least ensured it used the same format for hyperlinks as the ArcGIS. Though these are small grumbles for what in essence is a great piece of software that can easily convince people to un-install Google Earth. Anyhow, enough about how great this tool is, during my presentation the client asked whether there was any way that they could mark and update things on the map and I talked them through the “notes” tool and how they could be sent and brought into ArcGIS….as I said this I noticed another option, save the note as a layer package…..amazing!! I’m not going to go into too much detail otherwise I would be doing myself out of a job, but lets just say that with the ability to have interactive maps on a Google Earth type GIS viewer that uses KMLs, GDBs, SHPs, GPX amongst some of the formats, has imagery layers, open street map topography layers, provides the user with query, measure & geocoding tools AND has the option to allow the user to create their own data which can be sent back to the GIS controller…..well you can see the value of this. 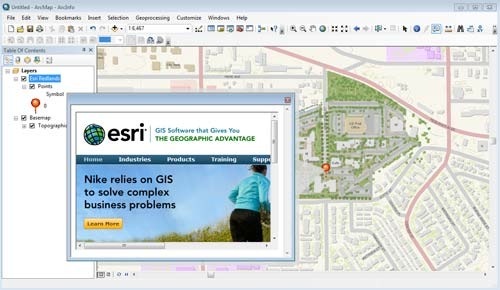 Many of you are sat their thinking about the options like ArcGIS Online – This has feature size restrictions at the free end or is the cost of an ArcGIS licence at the basic end….some of you may be wondering why I don’t just set up a web map – This may be a shock but some of use don’t have masses of server space or can outlay the money for web hosting based on a potential project……and the rest of you who are wondering why I haven’t just used QGIS – Simply too scary for the average Project Manager, in fact I have always wondered why there isn’t a QGIS “viewer” option that is more straight forward for younger wannabe GIS stars or those who need a little more functionality than Google Earth. You’ll be presented with a couple of choices to make. First is the format for sharing. The choices are: as an Explorer map content file (.nmc), layer package (.lpk), or KML. We’ve choosen Layer Package in this example. Next, you’ll have a choice of how you want to share the layer package. 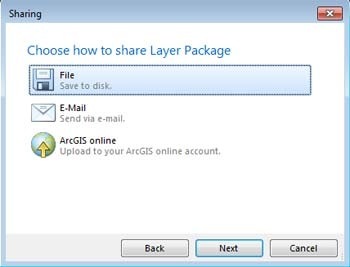 You can share it as a file, E-mail it, or add it to ArcGIS Online. We’ve chosen File. 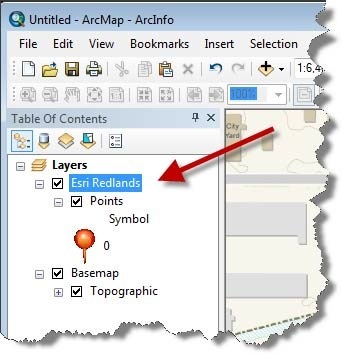 After completing the above steps, you’ll now have a layer package, in our case one named Esri Redlands.lpk, saved to the folder you specified. 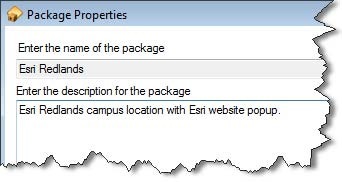 To display the popup window we use the HTML popup tool, which was introduced at the ArcGIS 9.3.1 release. 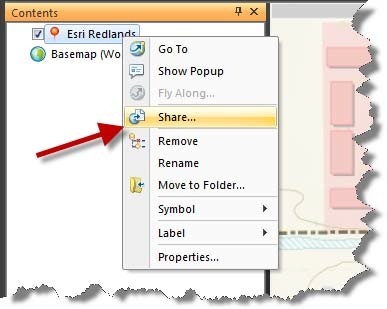 Use the HTML popup tool to click the note in ArcMap to display the popup contents – it’s just like the original Explorer note.